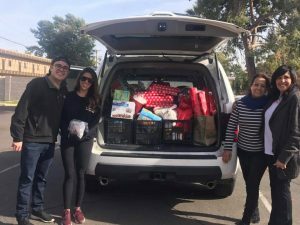 Home / News / 2017 Adopt-A-Family was a Success! Feed Our Babies’ Adopt-A-Family Holiday Event this weekend was a beautiful success. 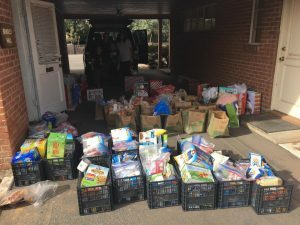 With the support from our wonderful volunteers and community, our initial goal of helping 10 families flourished into helping 30 families this year, collectively helping 38 children ages 1 through 18 years. Our families received chickens, potatoes, greens, canned goods and snacks for health Holiday meals. Santa’s Helpers donated wonderful gifts from footballs, soccer balls, baseball bats, building blocks, toy trucks, teddy bears to gift certificates. Special thanks to Katherine Polachek and her generous boys Matthew and Andrew, Nick and Katie Cipolla, Jaclyn Cipolla, Susie Marie, Joni Sucato and Laticia.